We've had testing this week. Yuck! Today was the last day for students in kindergarten, first, and second grades. So, we are done. Yeah! I can get back to my blog. While I don't enjoy testing, it does make me reflect on my teaching and that's always a good thing. Testing makes me think about what areas to review and enrich throughout the last few weeks of school. The kids are bouncing off the walls energetic after testing. So, learning needs to be especially engaging to hold their attention. Games are perfect for this time of year. I'm working on making a few for my kiddos. I'll share some of them with you too. Here is a free matching activity that reviews place value. It's done in a dinosaur theme. You can set it up as an independent activity or play it like concentration or memory. Students would pick one of each type of card. You can grab the freebie by clicking on any of the pictures. 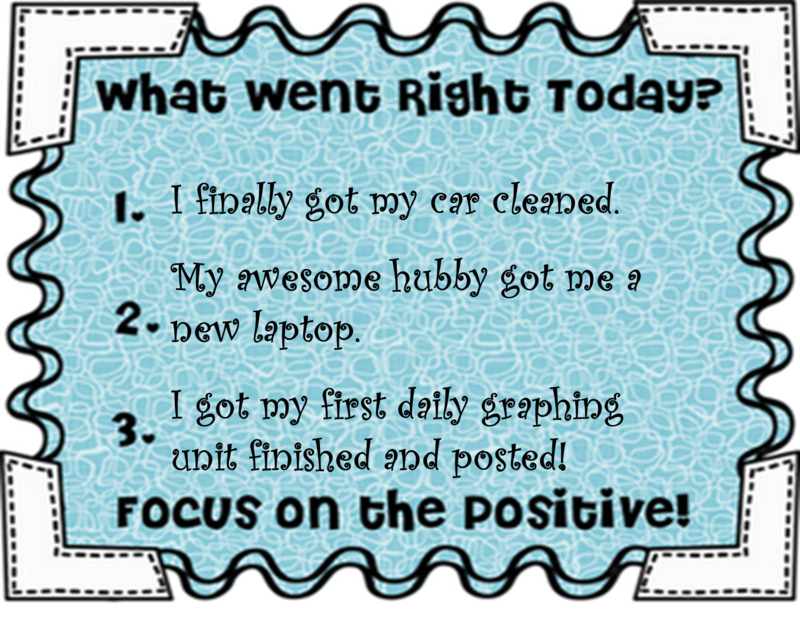 The graphics I used for this freebie come from Just So Scrappy Too and The 3AM Teacher. Oh, I want to be sure you know about the fabulous linky party going on at Little Minds at Work. It's dinosaur themed. You could put together a mini unit just from this linky party full of dinosaur themed stuff. Earth Day is April 22. I am hoping to have some fun with it and I'm starting to plan activities. We are going to start with this word search I made for our morning work. We don't do a lot of word searches, but my students love it when we do. Later, we will probably do a read aloud and plant seeds. I went to the bookstore yesterday to look for a book to that would be good to read. Amazingly, my bookstore had nothing at all that would work. If you have any suggestions for a read aloud please leave a comment. We are also going to do this writing "craftivity" on how each child can help the Earth. I've noticed my students are much more into their writing when we pair it with a "craftivity." They even write neater than usual. You can grab a copy of the word search and the writing "craftivity" by clicking on the pictures. The download includes complete directions for assembling the "craftivity." In math, we're going to incorporate some graphing with one of the Earth Day themed graphs from my Graphing Through The Month of April unit. You can get the recycling freebie for Earth Day from my unit by clicking here or check the whole unit out on TPT by clicking the picture. 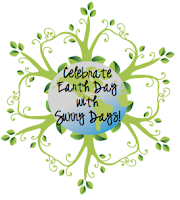 If you're looking for even more ideas for celebrating Earth Day in your classroom hop on over to the Earth Day Linky Party at Sunny Days in Second Grade. Thanks for stopping by! It would make my day if you would follow my blog or leave a comment. Stop by again soon. This is just a short and sweet post for the April linky party. 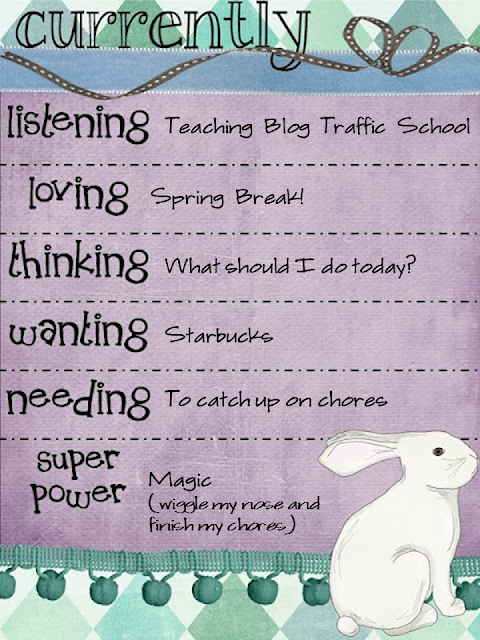 Today is the first day of Spring Break for me and I have a ton to catch up on this morning. 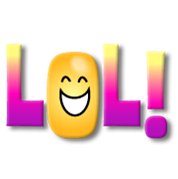 Ha ha, I'm excited to have a week off to catch up on everything that's been on the back burner! This post is a part of the linky party going on at Oh, Boy Fourth Grade. Stop by to join the party.